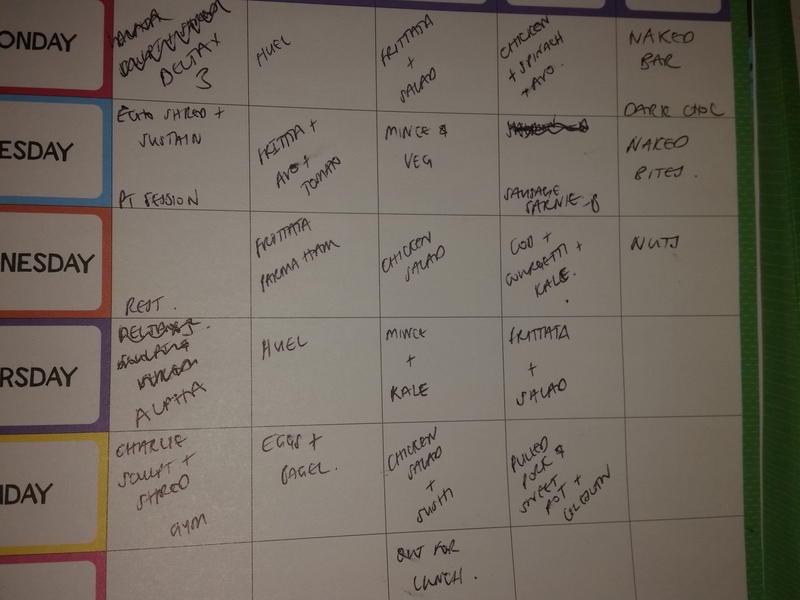 This afternoon like most Sunday afternoons I’ve spent a couple of hours planning and preparing my food for the week ahead. It’s something that I started doing back in January when I was doing the 90 Day SSS plan and I’ve seen so many benefits from it that I’ve carried on. 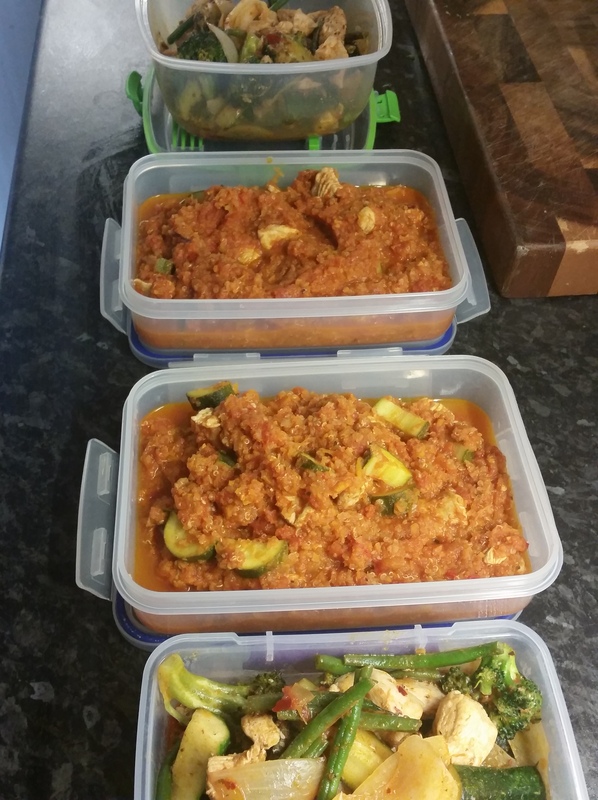 Each week I sit and plan what I’m going to eat for each meal, I then shop for the ingredients and batch cook a few meals in advance, storing what I need to in the freezer. Taking some time each week to think about what I’m going to eat at each meal allows me to make sure I’m eating a balanced diet. I try and eat a mix of eggs, chicken, fish and lean red meat through the week and make sure that I’m having a wide range of different veg and sources of healthy fats to go with them. Writing it all down in advance helps me see if I’m covering all the bases. I’m also a sucker for stationary and it gave me an excuse to buy this cute wall planner from Paperchase. Once the food is planned out I make a shopping list and only buy what I need. I’m far less likely to get seduced by the special offers either online or in the supermarket – if it’s not on the list it doesn’t go in the basket. I’m also far more efficient at shopping. No browsing the aisles for ages wondering what will go with the random product that I’ve just picked up because it’s on special offer. As I only buy what I need I rarely waste food. Before I planned I used to just buy a range of ingredients and make up what I was going to have as I went along during the week. That sometimes lead to some odd combinations, but also a fair amount of waste as inevitably I didn’t eat everything I’d bought. These days not much at all goes in the bin. Without a plan I would eat scrambled eggs for breakfast, chicken salad for lunch and chicken and veg for dinner. There’s nothing wrong with that but it’s hardly an inspiring menu and I’d soon get bored. Boredom for me is a trigger for eating things which aren’t really in line with my fat loss goals so it’s best for me to keep my diet varied and interesting. 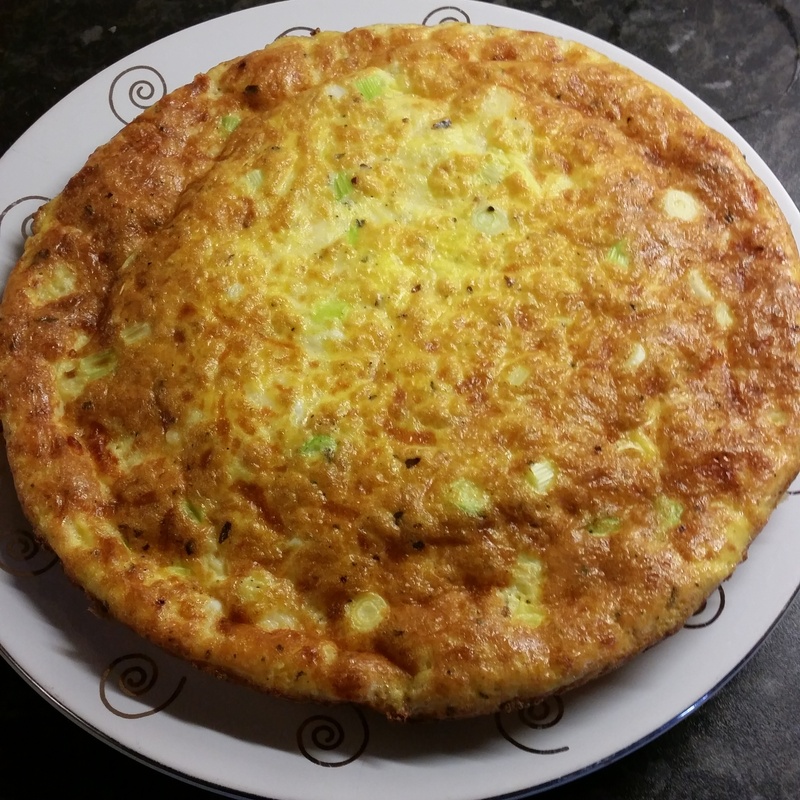 Last week I tried this mozzarella frittata from the food planning section of Julia Buckley’s website. It’s delicious and a great alternative to plain old scrambled eggs for breakfast. Before I started doing this I rarely made my own lunch and I would regularly spend up to £10 a day on lunch and snacks. That adds up to a lot over the course of a week. I now spend somewhere between £15-20 a week in total on homemade lunches and snacks, most of which taste loads better than what I’d be able to buy in a shop. Yeah, I think I know what you mean @julia – there is something satisfying with knowing that you’re eating well and looking forward to doing so. Glad you enjoyed it Beki. Given how many views this post has already had it seems to be a topic that people are quite interested in! Perhaps I’ll do a follow up post with some examples. Today was chilli (actually made by my husband, not me) and Cajun meatballs. I’ll make a frittata on Wednesday night which will then leave more portions for breakfast/lunch. Dinners are chicken/fish/turkey with various veg.